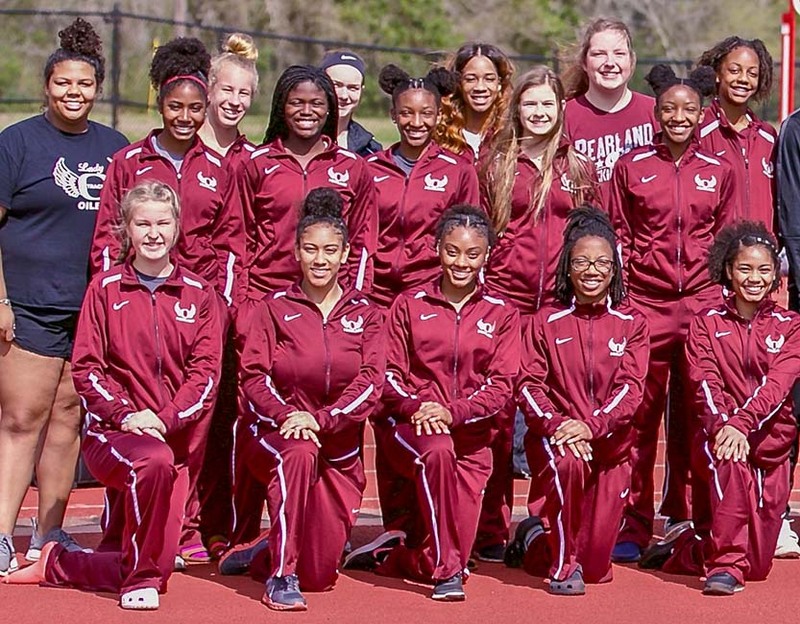 PEARLAND — Richmond George Ranch scored 157 points to win the District 23-6A track meet followed by Alief Elsik (131), Pearland Dawson (119), Pearland (89), Alief Hastings (77), Alief Taylor (32), and Brazoswood (10). 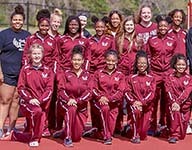 Lady Eagle Chrystal Herpin won the discus at 139 feet, 5 inches and was second in the shot put at 40 feet, 10 ½ inches. Teammate Kalynn Broadnax was third in the shot put at 39-10. Dawson's 1,600-meter relay team of Miriam Darden, Kiah Johnson, Taylor White and Robyn Barber took second place at 4:01.66. Michelle Mayer placed second in the 800 meters in 2:22.12 while teammate London Powell was third in 2:22.75. Darby Gauntt won the 3200 meters (11:24.43) and placed third in the 1600 meters (5:20.81). Amari Ferguson placed second in the 100 meter hurdles (15.50). Crystal Herpin easily won the Discus with a throw of 139-05 while taking second place in the Shot Put with a heave of 40-10.50 with teammate Kalynn Broadnax finishing third with a toss of 39-10. Brooklyn Keller placed third in the Pole Vault with a height of 7-06. The 4x400 relay quartet of Miriam Darden, Kiah Johnson, Taylor White, and Robyn Barber finished in second place in 4:01.61. Sydney Devereaux won the 800 meters in 2:21.12. In the 1600 meters, Pearland's Kara Decker was second (5:18.04) while Decker was third in the 3200 meters in 11:33.98. Carissa Mercer won the Pole Vault with a height of 9-06.